Last month, I was visiting Hershey, Pennsylvania with my husband and two children. On the last day of our trip, we wanted to have dinner in town, so we did what millions of people do nowadays, we brought up Google search on our phones. We were in the mood for Italian food – it’s always good to balance out the sweet with the savory, right? After typing “Italian restaurants” in search, we were presented with a few different options. Immediately, I looked at the pictures, and then the reviews. Finally, I went to the website to look over the menu. One place didn’t appear to be too nice, although it had some good reviews. The second place looked beautiful, had good reviews, but I’ll be honest – the website was atrocious. There was no menu and I couldn’t even get the website to load all the way. NEXT! Finally, I found one Italian restaurant that looked gorgeous inside and out, had great reviews, and the menu was easily accessible. It was the winner. That was THE best Italian restaurant I’ve been to in a long time. I left a review to help them out because I know it will. I tell you this not to brag about how great I am at picking restaurants, it’s an important lesson to every local business owner, no matter the industry. Your consumers are looking online for your services and products. Therefore, it’s extremely important to ask yourself: do I have what they want and can they find me? Local SEO should be the first priority for local business owners looking to boost their marketing efforts. The success of your business depends on it. When you’re not an expert at local search engine optimization, you’ll find many inconsistencies in the industry. Some people downplay certain aspects of local SEO that are important, and talk up other parts that aren’t as crucial as they make it sound. Knowing what you should concentrate on can help you get ahead of your competitors. The following are the biggest myths and misconceptions we’ve heard the confuse anyone trying to improve their local SEO strategy. Google My Business (GMB) is THE MOST important part of local SEO. It’s where Google gets the information they show on local “maps” search results within a local area. Note: Some businesses try to compete in local areas by optimizing their website pages for local keyword phrases, but without actually having a GMB profile verified. If you’re trying to compete in the search results in an area where you don’t have a GMB profile verified and filled out, you’ll be at a big disadvantage to other local SEO competitors who do. It’s imperative to have your address, phone number, website URL, and hours of operation correct on GMB. Adding photos will entice your customers to want to come see you or at least contact you. Keywords are important when setting up and maintaining your profile. Google will know who to show your business to if it knows what you offer. Google recently added a new feature to GMB – Posts. You can announce events, specials, and other information you want people to know about regarding your services and products. Use it. Remember, the only reason I found the Italian restaurant I went to was because they had everything I needed on their GMB profile. Once you have your GMB completed and verified (by requesting and then inputting the verification code), you can move on to citations. The Yellow Pages isn’t cutting it anymore. It’s online now, and you need to be listed. The problem is that you don’t need to be listed on just one website, but many of them. Citations are a huge ranking factor for local visibility. Research has shown that the more citations a business has, the higher they will appear in search engine results pages for local areas. Note: While you may not get much traffic from some of these listings directly, the citations gained from these listings can help you rank higher in Google’s local search results. Hundreds of listing sites are available for you to add your business name, address, and phone number (NAP). Concentrate on local citations first, and then broaden your reach with general ones, as well as industry-specific directory listings. Many people (as many as 72% of people doing local SEO) believe citations are everything, and link building doesn’t matter as much or at all. This couldn’t be farther from the truth. A Local Search Ranking Factors study found that people who only use citations as a backlinking strategy will most likely not rank well, especially in competitive markets. Garnering links from websites with a high Domain Authority (DA) is just as important. One of the best ways to build backlinks is to reach out to websites in your industry and ask if you can contribute an article. You can then write about something you’re knowledgeable in to help their site visitors, and in turn, you get a link to your website in the byline section of your article. Consistency is everything when trying to gain exposure online. Google wants to be sure it provides its users accurate information. Any inconsistencies can lead Google to not trust the business, and not rank it highly on the search engine results pages (SERPs). This means all of your location information needs to be the same on all citations. Name, address, phone number, and website URL need to be the same. Don’t worry too much about “Street” vs. “St.” Just be sure you have “Street” across all listings, and not “Road” on some of them. Research finds that 88% of consumers trust online reviews over personal recommendations. Remember, I read reviews before going to the Italian restaurant’s website. If reviewers said it wasn’t a good place to eat, I wouldn’t have looked at the menu. Google has recently announced that reviews are a ranking factor in local SERPs. The more positive reviews a business has, the more visibility they will receive. This means that getting reviews is crucial to the success of your local SEO strategy. Ask customers to leave a Google review as they make a purchase, contact them after they make a purchase to remind them, and run specials for people who leave a review. Consistently do whatever you can to let your customers know that you would appreciate their feedback. Tip: Publish a page on your website with instructions on how to leave a review on Google. Include a link to where they can leave their feedback. You can even publish screenshots for those who are visual learners. While you’re on your website, start looking into how user-friendly it is because that matters too, despite the myth. Online users want information as quickly and easily as possible. They trust Google to provide them with sites that deliver that, which is why it’s important that you consider and improve user experience. Google rewards businesses for their efforts in providing a good user experience by showing their websites to more users. While we’re on the topic of user experience, let’s cover the importance of having a mobile-friendly website. This may have been true a few years ago, but not anymore. Nearly 60% of searches now are performed on mobile, and there are more than 2.1 billion smartphone users. This number is expected to reach 2.8 billion by 2020. Google has announced the mobile-friendliness of sites IS a ranking factor. If your site isn’t responsive to mobile devices, it simply won’t be shown to users. Again, user experience is important. This is untrue. Consumers appreciate transparency and information no matter if it’s a national or local business. Customers want to feel connected to the businesses they buy from, and the best way to do that is with content. Google knows this, and that’s why they tend to rank websites with thin, low quality content lower on SERPs. The best way to prevent that is to make sure the content published on your site provides users with all of the information they need and want. The keywords you use in your content can be used in other ways, such as in social media. This is something you should also be utilizing to improve visibility. Many local businesses start using social media, but quickly back out of it because they don’t see any engagement or traffic to their website. Unfortunately, this retreat from social media can negatively affect their success with local SEO. Social media isn’t just about getting people to like, comment and share posts. While these interactions are good, there’s another reason to continue using social media — backlinks. As mentioned previously, backlinks are important and they can come from social networking sites. Whenever you have a new website page or blog, it should be posted on social networking sites. Google crawls these sites and does consider them as backlinks. In addition, by adding content to social media, you never know what might capture the attention of someone who will share it with their followers. This could lead to great exposure that wouldn’t otherwise happen if it wasn’t for posting on the social network. To achieve local SEO success, you need to setup, optimize and maintain a Google My Business listing. You need to gather citations AND backlinks. 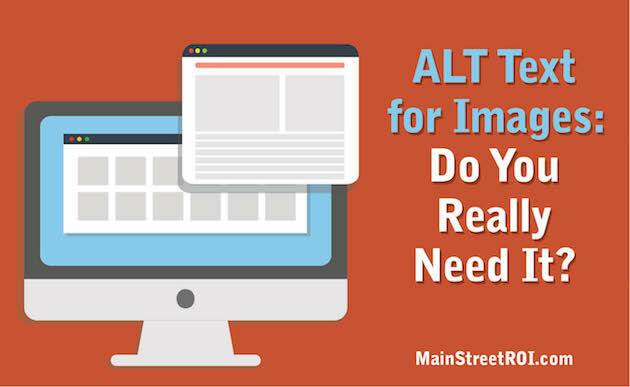 Information on your site needs to be clear, accurate, and easily accessible. It should be mobile friendly. Finally, social media does make a difference, so don’t abandon it when it seems as though no one is paying attention.